Alias currently works at Verizon as a Principal Design Engineer at the Strategic Planning Group for Intelligent Edge Network for 5G. 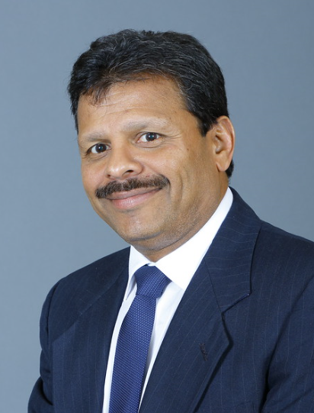 He has worked for several major telecommunications corporations (NEC, Fujitsu, Huawei, Bell Labs, Alcatel-Lucent, Wipro, Windstream Communications, and Lumos Networks) in technical and management roles. Alias is a founding and life member of MEANT since its inception in 1997. He has served MEANT as its Treasurer (1998), Board of Director (2010), President Elect (2000 & 2014), and President (2001 & 2015), He is a business owner and Board of Trustee member of his Church. He has held leadership roles of World Malayalee Council and other charity organizations. He holds Bachelor Degree in Electrical Engineering from M.S Ramaiah Institute of Technology (Bangalore University), Masters in Math (Cochin University), Computer Science Engineering (University of Texas at Arlington), and Software Engineering (Arizona State University). He is originally from Kakkanad, Cochin and resides in Murphy with his wife Shaila, daughter Jessica, and son Justin.